The European Space Agency’s (ESA) Rosetta spacecraft has found that water vapor generated by its target comet “67P/Churyumov-Gerasimenko” is significantly different from that found on Earth, a discovery that has fueled speculation that asteroids, not comets, were likely responsible for the planet’s ancient oceans. One of the leading hypotheses about the origin of water on Earth is that the planet’s surface was inundated with water by a bombardment of comets about 3.8 billion years ago. But, the new data provided by Rosetta has led scientists to reconsider the theory and speculate that ancient asteroids, which were covered with ice in the early solar system, may have brought water to Earth. 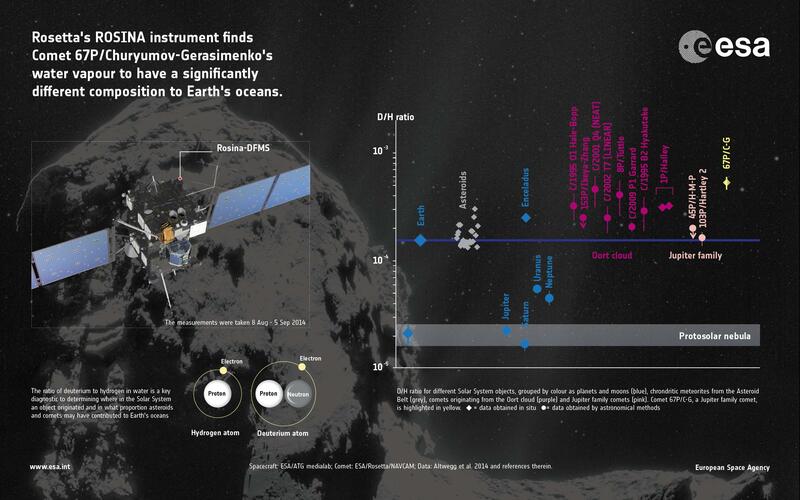 The measurements were made by Rosetta in the month following the spacecraft’s arrival at the comet on Aug. 6, according to ESA. “It’s not the same as terrestrial water—it’s much heavier,” Kathrin Altwegg, physicist at the University of Bern, Switzerland, and lead author of the study, published Wednesday in the journal Science, told the Wall Street Journal. According to scientists, Earth was believed to be so hot when it was formed about 4.6 billion years ago that any original water content would have evaporated. Today, two-thirds of the Earth’s surface is covered in water. And, scientists say that there is a strong case for asteroids to be the source of water on Earth as the chemical signature of water found in meteorites -- solid chunks of debris from asteroids -- match the composition of Earth’s water. “Thus, despite the fact that asteroids have a much lower overall water content, impacts by a large number of them could still have resulted in Earth’s oceans,” ESA said, in a statement. 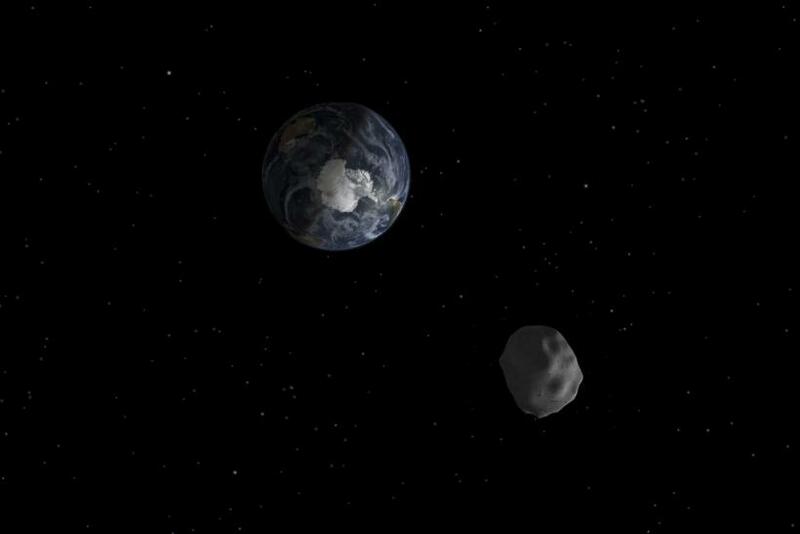 According to Altwegg, many asteroids with dry and barren bodies may have contained water in the past, but eventually lost it because of their proximity to the sun. “As Rosetta continues to follow the comet on its orbit around the Sun throughout next year, we’ll be keeping a close watch on how it evolves and behaves,” Altwegg said.